People welcome the warmer months when they can take off on mini-adventures and pitch up their tent to enjoy the great outdoors. However, without the appropriate care taken to look after your gear, it is all too easy to find after time that you are sleeping in a damp tent, or that the fabric has weakened and small tears could occur. Tents come in all shapes and sizes, and vary in price, but they are a key piece of equipment that you want to last for as long as possible. 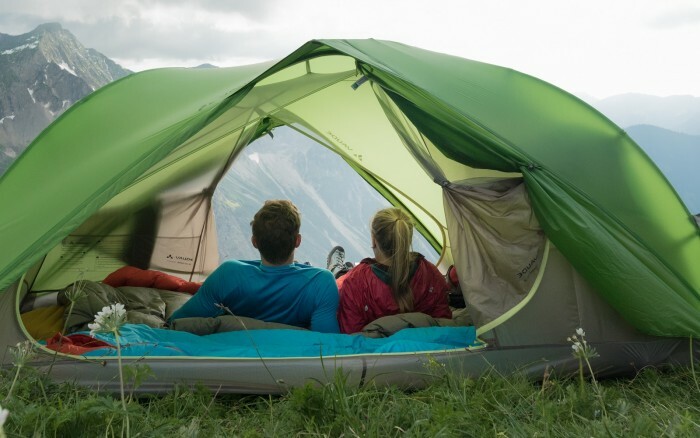 Most tents are made from synthetic fabrics, with a thin watertight coating on the inside and a durable water repellent (DWR) coating on the outside. This results in strength and water resistance, yet the item is also lightweight. However, the fabrics are vulnerable to ultraviolet (UV) rays that weaken the fabric tear strength and diminish the water repellent finish. If a tent is subject to two weeks’ continuous exposure to the sun’s UV rays, the fabric can lose half of its strength. You also run the risk of the fabric absorbing water – resulting in a damp tent on the inside! All in all, if you do not care for your equipment, its lifespan will be significantly shortened. There is protection out there! 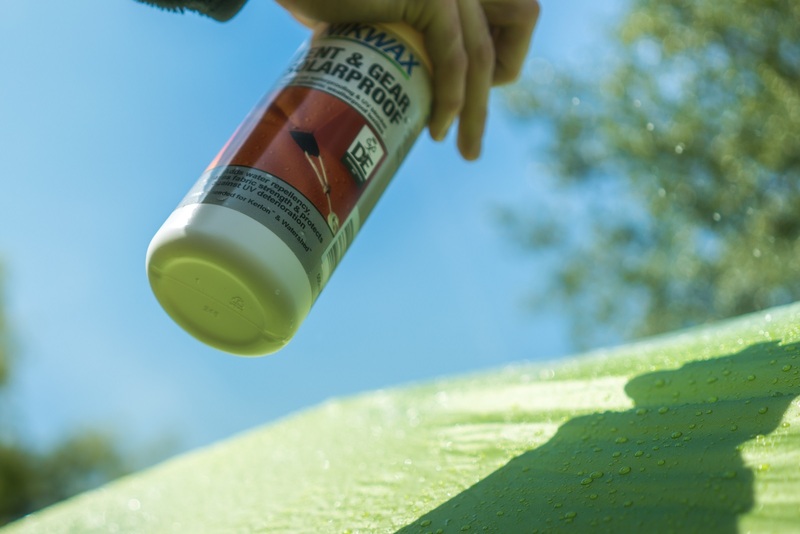 Nikwax sells two leading aftercare products specifically formulated to protect and maintain your tent and other synthetic gear, such as rucksacks and bike panniers. 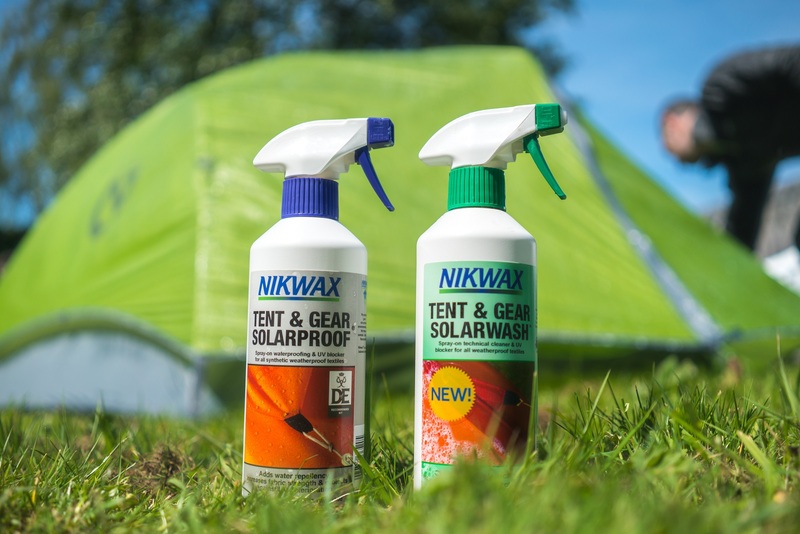 Nikwax Tent & Gear SolarWash® is a high performance cleaner, which protects against UV degradation whilst removing dirt and other contaminants that affect the water repellency. The water-based spray-on cleaner will increase the fabric’s resistance to UV light by 50%, thus extending the life of your gear! As well as this, Tent & Gear SolarWash can be used up to three times to revive the water repellent coating. After time and use, the DWR will need replenishing on your tent and equipment. 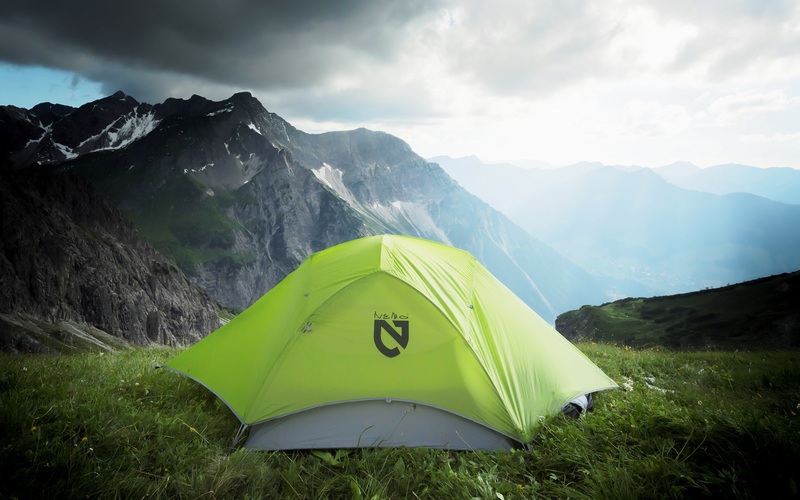 Nikwax Tent & Gear Solarproof® provides the water repellent finish that your tent requires, in order to maintain its performance. 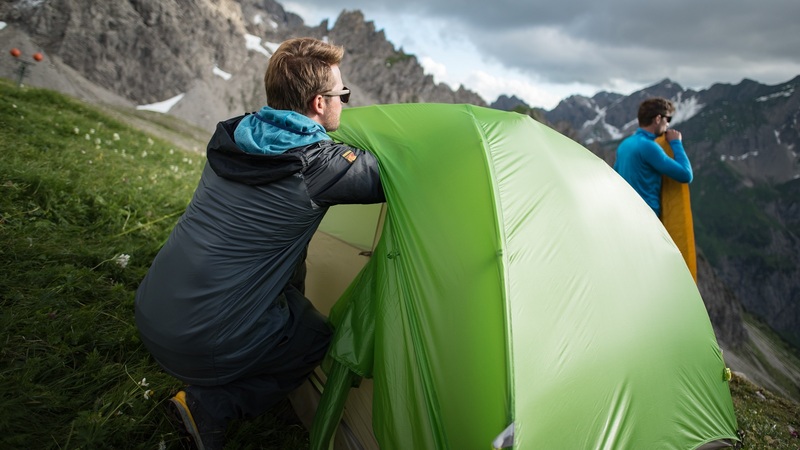 Tent & Gear SolarProof is formulated to complement Tent & Gear SolarWash – the two systems work together to ensure you can stay dry in your tent and make it last longer. Spray Tent & Gear SolarWash evenly to the outside of the fabric. For large items apply in sections. Rub in the product with a damp cloth or sponge, paying attention to particularly dirty areas. If necessary, use a soft nylon brush to remove stubborn stains. Rinse with clean water using a cloth or sponge. 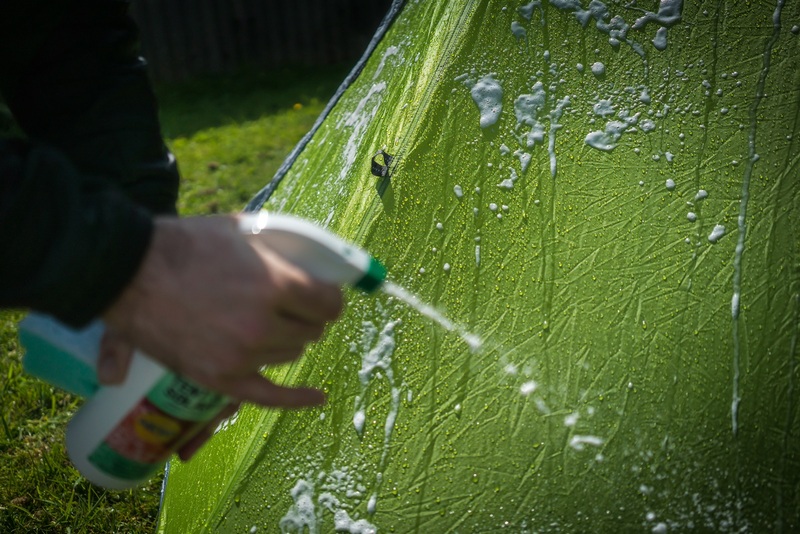 If only cleaning with Tent & Gear SolarWash then leave the item to air-dry – allow to dry fully before packing away. If replenishing the durable water repellency, there is no need to wait for the item to dry before applying Tent & Gear SolarProof. Approximately 50ml of product should be used per 1m2 of fabric. Spray the product evenly to the outside of the fabric – avoiding straps. As you treat the item, remove any surplus product with a damp cloth. Check that no areas have been missed. After several minutes check for any surplus product – remove any with a damp cloth. Allow the item to air-dry, ensuring your tent is fully dry before packing it away. If you have a canvas tent, then you should use Nikwax Cotton Proof instead of Nikwax Tent & Gear SolarProof.